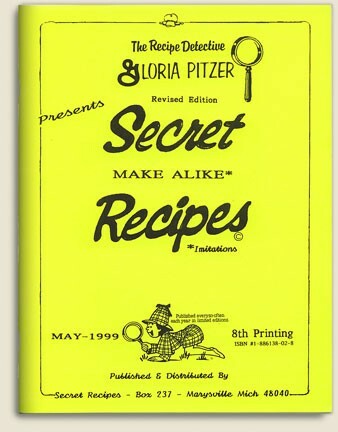 1991 – Make Alike Recipes was written, illustrated and published by Gloria Pitzer (Secret Recipes, St. Clair, MI). 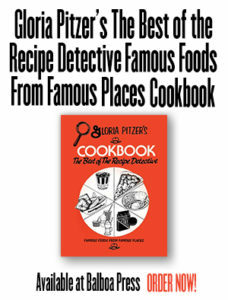 NO LONGER IN PRINT – this cookbook has a 120-page, 5.5” x 8.5” format filled with over 500 recipes! 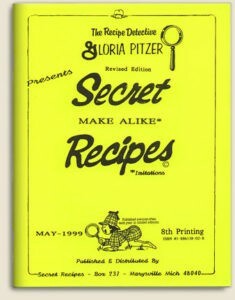 In developing each of these “Make Alike” recipes, Gloria had only the product as a guide. 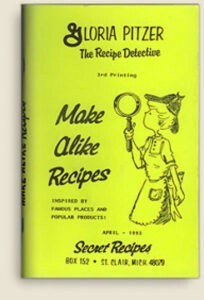 She did not know, nor did she want to know, what the famous food people/companies put in their recipes. 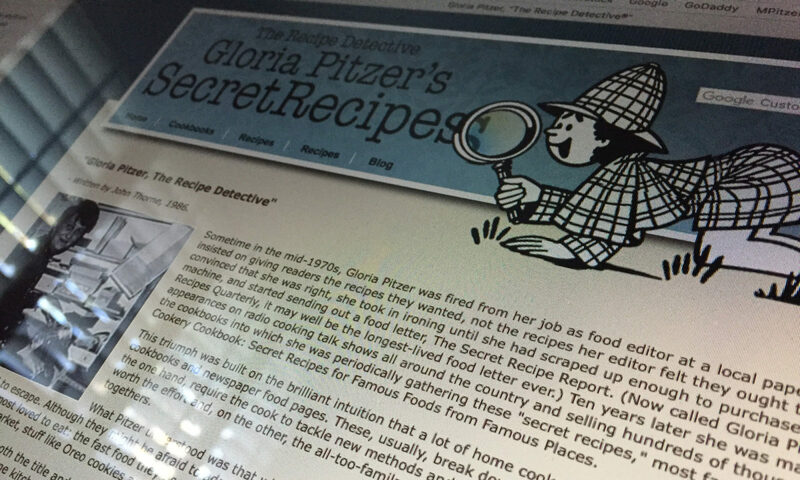 She did know, however, that by combining the compatible ingredients in her recipes, she could come up with “make alike” imitations that will remind you of the original product or dish. Gloria looks for ingredients that are available, economical and wholesome; but, whenever possible, reduces the number of ingredients by using a prepared product. Over the years and various printings, the title and cover changed a little from the original (as shown in the pictures above). The size and price of the book also changed from the original format to a 60-page, 8.5″ x 11″ format around 1996, with over 400 recipes. It originally sold for $7 in 1991; but, went up over the years to as much as $9.75 per copy, until it sold out sometime after December 2002. This recipe collection includes some imitations of Kenny Rogers, the onion blossom, Cracker Barrel make-alike dishes (like hash brown casserole), sourdough recipes, soups and stews, Chi-Chi’s dishes, beef and marinades and much more! These recipes will surely hold the interest of an international audience! Price: originally $7.00; the larger format was $8.75 in 1999 &, in Nov 2000, it was $9.75 until it sold out.